UK Slot Games is a brand new online gaming casino that offers a unique gaming experience to players. Certainly, Jumpman Gaming needs no introduction. They are known to be behind many top brands, and UK Slot Games is one of their latest additions. In an era where players love slot machines, UK Slot Games has taken it upon them to provide a simple platform that integrates more than 500 slot machines. Even more, UK Slot Games offers one of the most responsive gaming platforms. At first glance, you would notice the simple website design. Hence, UK Slot Games is a great place to play if you love to play from your mobile device. Whether Android or iOS, you’d surely like the experience. Finally, all the games and software have been endorsed by the AGCC and the UKGC. So, enjoy every moment without any atom of fear. It is exciting to see that new players get such a huge welcome package. With so many amazing slot machines on display, there is no better way to reward new players than to offer plenty of extra spins. Certainly, if you have doubts about UK Slot Games, they offer you more than enough free spins to try out some selected games. So, if you are lucky, you could get as much as 500 extra spins when you spin the Mega Reel. The amazing part is that every new player automatically qualifies to spin the Mega Reel. In the end, no new player shall receive less than 20 extra sins on fluffy favourites. So, if you are unlucky, this is all that you get from UK Slot Games. However, if you are lucky, you surely would have more than enough spins to play. For every ten extra spins that you receive as a welcome bonus, you can only earn a maximum of ₤8. So, any other additional winnings will not add up. New players can only spin the Mega Reel after making a minimum deposit of ₤20. The extra spins are only available on selected games as chosen by UK Slot Games. If you are in a hurry, you might probably miss out on the welcome bonus. That’s because the Mega Reel is not available if you use the ‘Quick Deposit’ option. Most online casinos set’s a maximum amount that can be withdrawn from using the extra spins. However, UK Slot Games takes a tricky approach about this one. They clearly state that there is a maximum amount. However, the amount is at the discretion of UK Slot Games. So, it might be a lot easier if you clarify this term with the support team before making the deposit. The wagering requirement is quite massive. Players who agree to receive the welcome bonus would have to wager a massive 65 times before requesting for withdrawal. So, if you feel that the bonus is worth the stress then the choice is yours. Meanwhile, even when you meet the wagering requirement, the maximum amount that can be withdrawn is ₤250. So, let’s say that you have ₤500 after meeting the wagering requirement. This term is saying that you will only receive ₤250 and not the entire ₤500. Indeed, 600 is quite massive. This includes a selection of more than 500 slot machines from various slot providers. The best part of UK Slot Games is that they support mobile gaming 100%. This means that players are guaranteed unlimited fun from their mobile devices. There is a selection of Bingo games; plenty of jackpots; a massive selection of hot video slots and some new additions. Hence, you will find some great choices that include Fluffy Favourites; Chili Heat; Diamond Strike; Starburst; Great Rhino; Rainbow Riches; Who Wants to be Millionaire etc. UK Slot Games is no doubt a great place to enjoy some of the best mobile games. However, their wagering requirement is quite scary. As well, they need to improve their payment options. 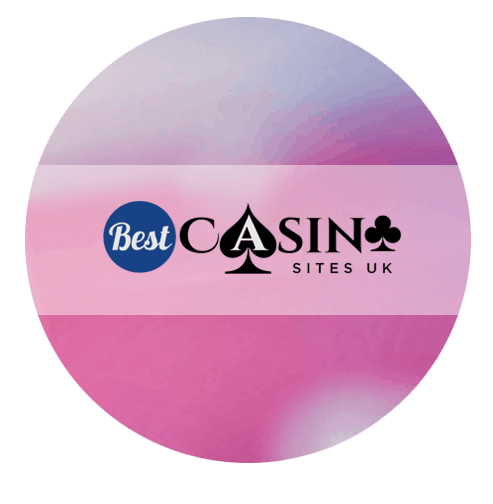 Be sure to visit best casino sites for all the latest reviews and sign-up offers.